Detailed description on Minecraft Forum! if you just want to use the datapack in your own world and don't need the starting island, use /scoreboard players set first_load world_status 0 to deactivate the choice promt. delete the datapack located in ".\SkyLand x.x.x\daptapacks\" and replace with the one from new version. You don't have to start from 0 because the included datapack was updated! 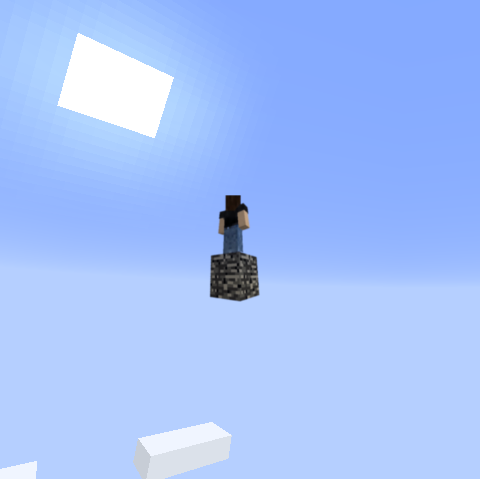 Survival Challenge in the Sky. The datapack contained in the map adds new crafting and smelting recipes, mob and fishing loot, advancements and simple game-mechanics realized with command functions. The bare (but fair) minimum of resources to get started. It hosts one grass block, a pile of logs, a pile of stone and two cauldrons filled with water. That's all. On booth islands your first task is to find a way to get a lava bucket. Advancements and the recipe book will give you clues how to proceed. While playing you'll (hopefully) gradually explore the new mechanics and possibilitys.